Broadway in Hollywood Season Ticket Renewal Opportunity for Current Ticket Holders for Pantages and Dolby Theatres’ 2019 Season. Attention Season Ticket Holders! 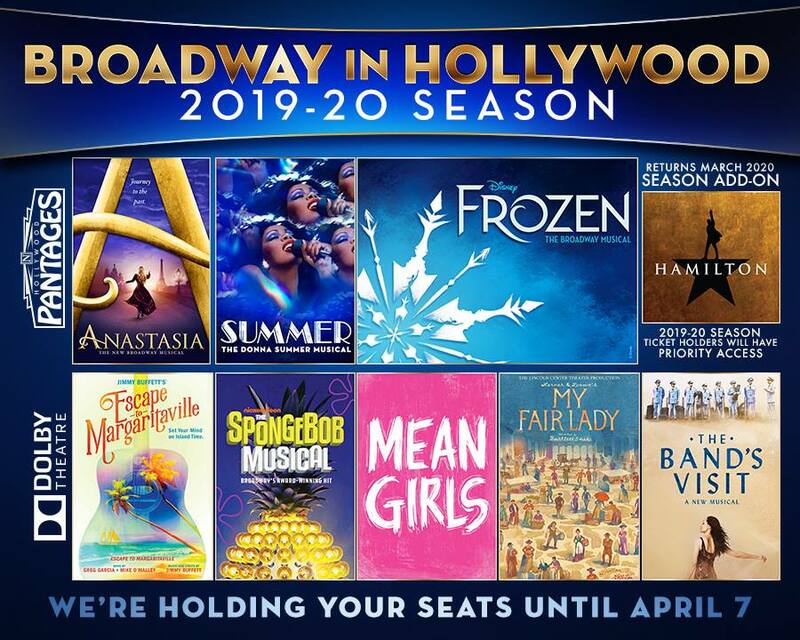 You have exactly TWO DAYS to renew your seats for the 2019-20 Broadway In Hollywood season at the Hollywood Pantages Theatre & Dolby Theatre! Deadline is THIS Sunday, April 7th!! Don’t Lose Your Seats – Renew Now! HOLLYWOOD, Calif – August 15, 2018 – CIM Group®, owner and operator of the iconic Dolby Theatre at Hollywood & Highland Center®, and The Hollywood Pantages Theatre, Los Angeles’ foremost presenter of first-class touring Broadway productions at the prominent location of Hollywood and Vine, today announced an agreement for The Hollywood Pantages Theatre to bring Broadway productions to Dolby Theatre beginning in 2020. Both theatres hold famed locations on Hollywood Boulevard and provide distinct entertainment options. The Hollywood Pantages Theatre is a premier venue and an historic gem known for bringing exceptional Broadway productions to Los Angeles. 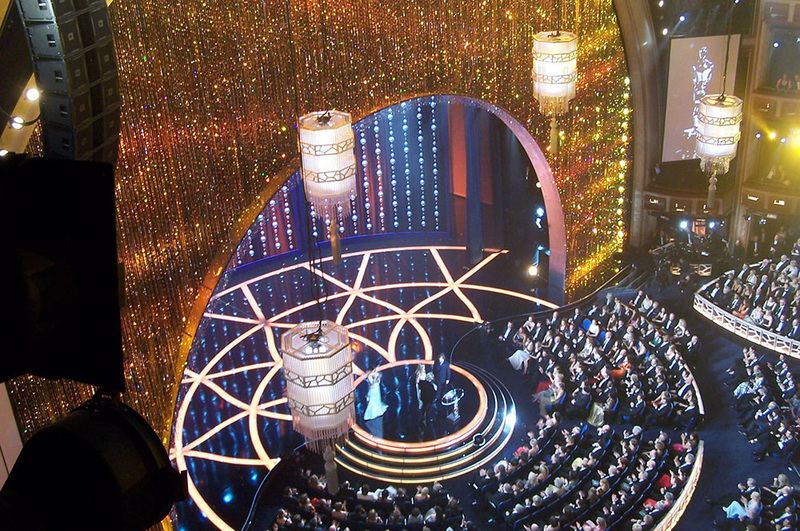 Many of these productions have drawn heightened interest in recent years for long-term engagements in Hollywood, and partnering with Dolby Theatre, a richly appointed and technically sophisticated theatre, allows for these complementary venues to further cement Hollywood as the entertainment capital. 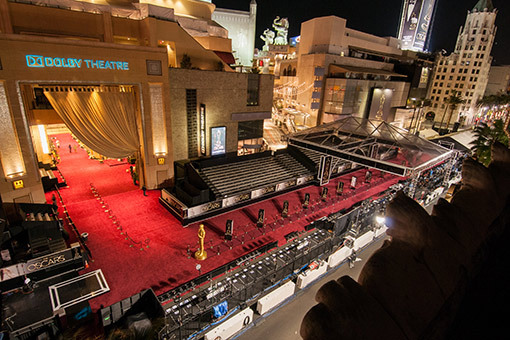 Dolby Theatre will continue to program and host a variety of live television productions, movie premieres, concerts, cultural, civic and arts events including the annual Academy Awards®. Recent programming at Dolby has included several seasons of America’s Got Talent; the American Film Institute’s Lifetime Achievement Award – George Clooney; film premieres for Blank Panther and Solo: A Star Wars Story; showcases for Trevor Noah, Andrea Bocelli, Carol Burnett, and Neal deGrasse Tyson; and The Paley Center for Media’s Paleyfest. The Hollywood Pantages is part of The Nederlander Organization, which owns or operates venues on Broadway, Chicago, San Diego, San Jose, Tucson, Durham, Oklahoma City, N. Charleston, and London. The Hollywood Pantages is the foremost presenter of first-class touring productions in Los Angeles, with over 35,000 season ticket holders. Presentations include Hamilton, Disney’s The Lion King, Wicked, The Book of Mormon, and The Phantom of the Opera. www.hollywoodpantages.com. CIM is a community-focused real estate and infrastructure owner, operator and lender. Since 1994, CIM has led more than $56 billion of projects in communities across the Americas on behalf of its own account and its partners, co-investors and shareholders. CIM’s broad in-house expertise includes decades of research, acquisition, credit analysis, development, finance, leasing and asset management experience in urban real assets, net-lease assets and other associated credit strategies. Utilizing its disciplined approach and extensive in-house expertise, CIM seeks to maximize value in projects, which ultimately enhances communities. For more information, visit www.cimgroup.com.